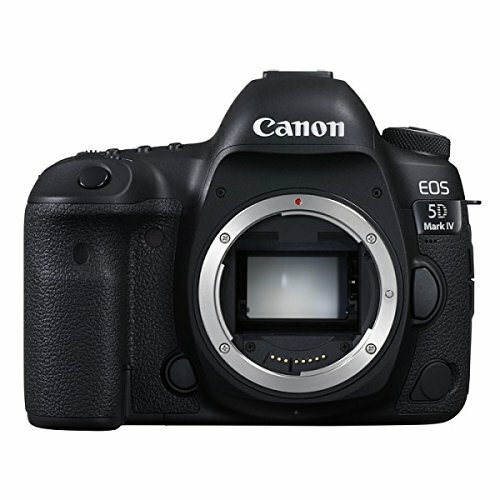 The Canon EOS 5D Mark IV ranks as Canon’s latest advanced level DSLR. 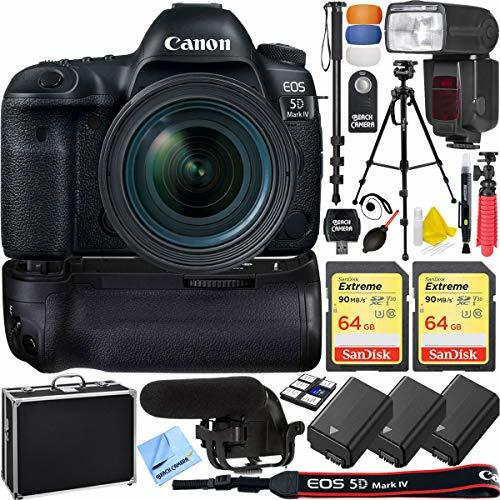 For the most part, it looks and handles like its predecessor, the 5D Mark III. 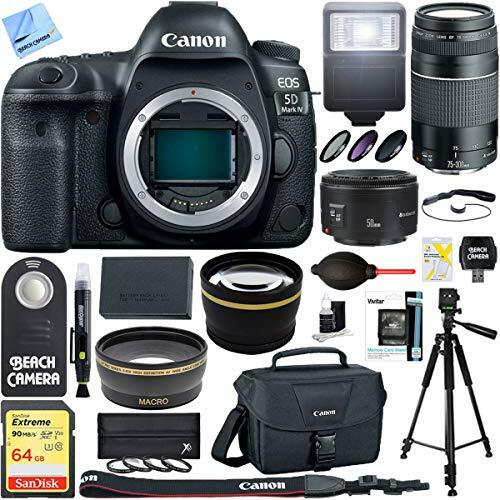 The Canon EOS 5D Mark IV ranks as Canon’s latest advanced level DSLR. 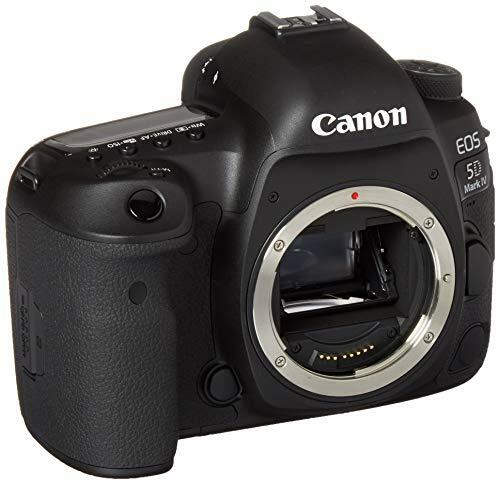 For the most part, it looks and handles like its predecessor, the 5D Mark III. This advanced camera is a plus for veteran photographers who know their camera by heart. Inside there’s a brand new 30MP sensor that utilizes Canon’s Dual Pixel AF tech. With the EOS 5D Mark IV, Canon has further refined its semi-professional full-frame all-rounder. 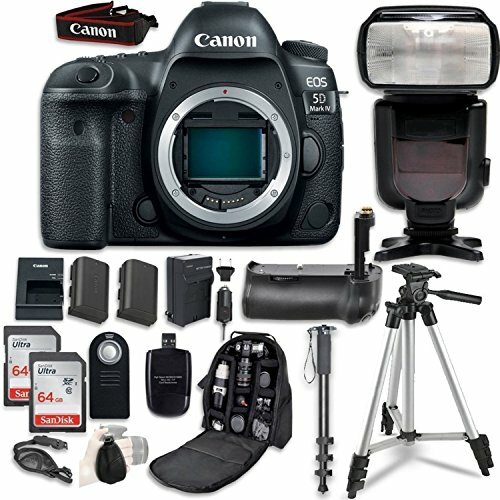 With a solid build and improved weather sealing, faster burst speed, increased resolution, increased dynamic range, updated autofocus system and Dual Pixel live view functionality, the Mark IV will be as much camera as many people need, even if it doesn’t revolutionize the 5D-line the way its predecessors have. 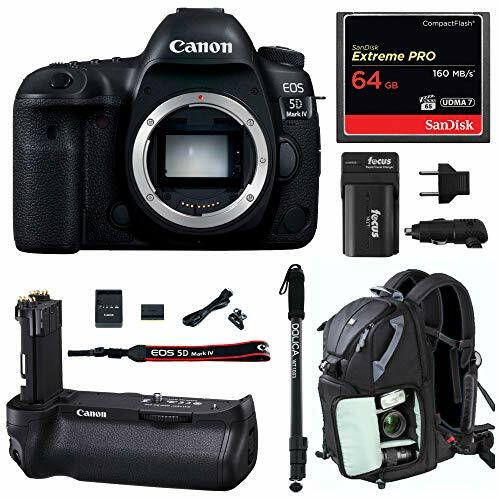 Canon 5D Mark IV comes with an improved image processor that supports 7fps capture. The video engine for this camera for advanced photographers can record footage at 4K quality. It’s a moderately sized full-frame body advanced level camera measuring 4.6 by 5.9 by 3.0 inches. 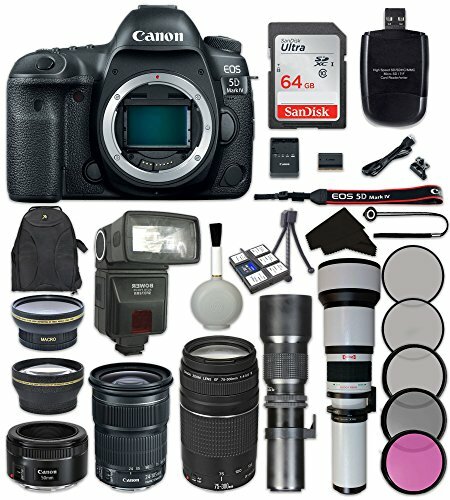 Canon 5D Mark IV weighs 1.8 pounds. It’s smaller than bodies with an integrated vertical shooting grip, like the Nikon D5. An option of adding the BG-E20 battery grip will make it a beefier camera. The grip lets you use two batteries intended for powering the best-advanced user’s camera. CIPA rates it at a net 900 shots through the viewfinder when the battery is fully charged. It offers 300 shots when you resolve to use its rear LCD. The battery lifespan is not quite good as that of the 5D Mark III when using the optical viewfinder with 950 shots. Canon EOS 5D Mark IV has a new 30MP image sensor. It’s the first time we’ve seen this particular resolution on a full-frame camera. 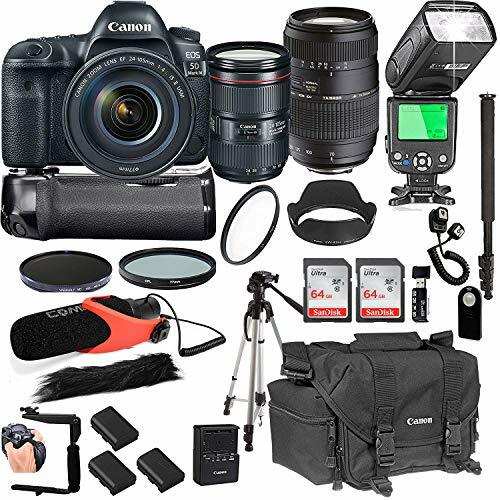 It delivers on its promise of balancing resolution and high ISO performance. The native ISO ranges from 100 through 32000, with ISO 51200 and ISO 102400 available as extended settings. The optical viewfinder is bright and clear. It covers 100 percent of the frame. What you see is what you shoot. Canon 5D Mark IV is quite bright due to its glass pentaprism design. It’s also large, delivering a 0.71x magnification rating. There’s a lot of information which you can see in the viewfinder. Exposure settings and a number of shots left in the shooting buffer are displayed in green at the bottom. It is found in the frame area. The outline for the autofocus area is shown in black, together with the focus points. They light up in red when active for better visibility. The Canon 5D Mark IV is a fine tool for capturing quick and candid moments. It starts, focuses, and captures an image in about 0.5-second. The autofocus is likewise speedy. 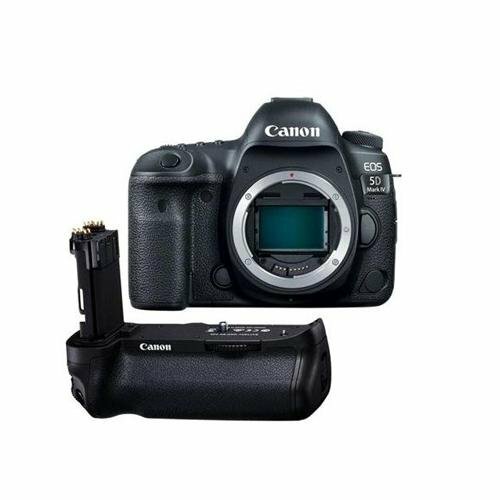 The Canon 5D Mark IV locks onto your targets in less than 0.1-second. It happens when in bright light and framing shots with the optical viewfinder. The focus system works slower a bit, to about 0.5-second. It occurs when you are shooting in extremely dim conditions. Live View focus with the Canon 5D is speedy. Locking on IS done in about 0.15-second in bright conditions and 0.8-second in dim light. With the EOS 5D Mark IV, Canon has further refined its semi-professional full frame all-rounder. 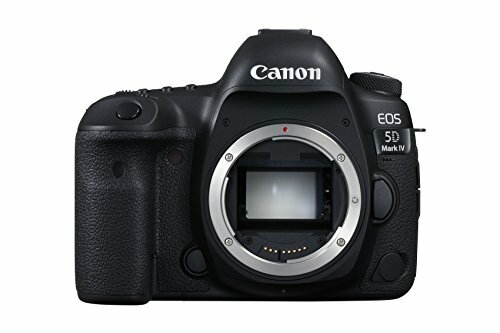 With a solid build and improved weather sealing, faster burst speed, increased resolution, increased dynamic range, updated autofocus system and Dual Pixel live view functionality, the Mark IV will be as much camera as many people need, even if it doesn't revolutionize the 5D-line the way its predecessors have.